Pharmaceutical Product Development, LLC (PPD), a leading global contract research organization (CRO), and NeoGenomics Laboratories, Inc., a leading provider of cancer-focused genetic testing services, have entered into an agreement to provide afully integrated global pathology and molecular testing solution to PPD’s current client base. As part of the deal, NeoGenomics will provide a range of lab testing services to support PPD® Laboratories’ oncology clinical trial activities globally. Collaboration’s key focus is centralized pathology review, as well as specialty lab services, including flow cytometry, fluorescence in situ hybridization (FISH),and others. Duo will also provide its clientele, a comprehensive companion diagnostics offering from biomarker discovery through regulatory approval and commercialization. Talk about the best bundled services in oncology space and this duo surfaces as best in class option. Oncology is most watched therapeutic segment by leading pharma companies, with quicker need of solution multiple vendor involvement could be tedious task. This deal addresses that issue by bringing in multiple solutions under one roof. Strategic alliance and long term partnership would be key here. Novartis could be tagged as one of those companies that look to do things differently. It taps into new platforms and technologies to pave way for new practices , and one such example of company’s move is its alliance with Thread research. Team of both companies have developed an app namely “Focalview”, which aims at collecting real time data from 150,000 users. The data also referred to as eDROS ( electronic device recorded outcome measurements), would help ophthalmic researchers gain more real time insights from patients who are positioned away from trial sites. This is not first time that Novartis is exploring waters of remote patient clinical trials , it had earlier inked deal with Science 37 on similar lines. These series of strategic activities from Novartis just go about highlighting company’s chase of paving new ways in clinical trial arena. And, we would be not be surprised if Novartis masters this pilot engagement and puts this practice for global operations. Strengths: Being forerunner in all novel practices , having diversified portfolio of business, just puts Novartis at position of strength in comparison to its peers. Thread research on other hand is placed in business that is yet to explore its potential. Needless to say clinical trials away from site or remote patient monitoring is the future that healthcare industry beholds. Opportunities that this engagement would bring in for Novartis are enormous. While the application is currently been tagged to Ophthalmic therapy, going forward scope of therapeutic coverage can definitely hold huge bargain for both the parties involved. According to recent report from GVR, CRO SERVICES market is likely to touch USD 45.2 billion in year 2022. The market is dominated by handful of vendors namely IQVIA, Labcorp, ICON, Parexel and PPD. IQVIA leads this trail by accounting for 12.4 percentage of market share. According to recent article from Outsourcingpharma which discusses CRO market nuances, and markets consolidation over the course of time, it would not be surprising to witness these players consolidate further. Given the fact that top 7-10 players in this industry accounts for close to 60% of market share. US leading the chart from both supply and demand side (CRO services). When it comes to segmentation of CRO service types , Drug discovery accounts for major share of 33%. At therapeutic level it’s oncology that accounts of largest share of 25%. Is it from increased outsourcing from Biopharmaceutical companies? Is the uptick on the grounds of sponsors increased outsourcing addiction because of availability of bundled services from CRO behemoths? Or is it because small CROs have garnered expertise in niche therapeutic areas, which in turn triggered increased outsourcing by small sponsors? Good thing is CRO is embracing the wave of time, innovation and regulatory- which is very much visible by new models that likes of IQVIA, Labcorp and others are offering. 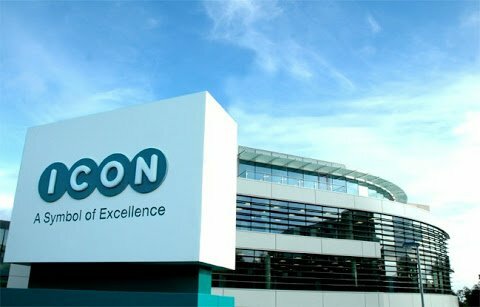 Icon recently signed a deal with Intel where former will use latter’s Artificial intelligence portal for remote patient clinical trials. Deal is considered one of the major milestone for CRO fraternity as it involves analytical platform that links data from multiple sensors and wearables, analyse collected data & provide real time insights to end users. Icon’s appetite for embracing innovation has always been on high note, this is very much acknowledged by numerous proof of concept studies that company has carried out in recent past. This one though seems like match made in heaven – where best in class unite together to address issues pertaining to clinical trial management. AI & machine learning are no longer fancy words having vivid description and application, it is now a hard-core reality touching new heights in every sector you can think off. Healthcare though has been late embracer of this innovation, it is trying to run really fast to make up for the lag. Science 37, which recently was in buzz for its deal with Novartis has some what of a unique offering when it comes to clinical trials. 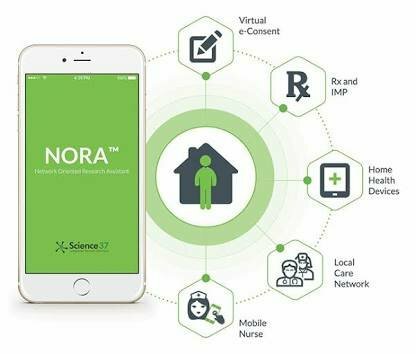 Company has inked a deal with Novartis for 10 new clinical trials involving usage of its new operating model meta site, which is based on its mobile research platform NORA. Company under the leadership of Belinda Tan had closed cumulative funding amount of USD 66 million in year 2016 & 2017. Early round of investments that Science 37 closed in 2015 involved dRx capital, joint investment venture of Novartis. 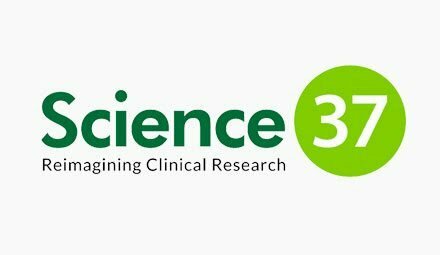 Science 37 has also been able to impress other pharmaceutical behemoths such as Otsuka Pharmaceuticals, this goes about highlighting potential that Science 37 carries with its amazing service portfolio. The statement above is on grounds of recent uptick that clinical research industry is witnessing on supply front. Couple of days back we had published CSSI Lifescience’s launch of fully integrated medical device CRO, and now CiToxLAB acquiring AccelLAB. The trend of acquisitions is justifiable, as Healthcare industry embraces convergence of medical devices and drugs. Combination products are buzz words of healthcare industry and no CRO; big or small are leaving any stone un-turned to address booming client need. We are referring CSSi Lifescience’s recently launched medical device CRO. The fully integrated medical device CRO is here impact timelines of regulatory clearance and increase profitability of medtech OEMs, both big and small. Claims of the company are backed by 250+ filed 510K submissions. CSSi Lifescience provides end to end services and beyond, it assists medical device OEMs in design development, testing, clinical studies and reimbursement. CSSi LifeSciences™ Drug & Medical Device Commercialization & Medical Device CRO Our goal is to ensure a successful and expeditious pathway to commercialization for our clients’ drugs and medical devices by providing insight-driven analysis that saves time, development costs, and resources. We enable faster, more informed decision making to increase commercial success, while reducing the risk of late-stage failures and post-authorization action. Unparalleled Success from Discovery to Commercialization • Commercialized over 500 new drugs, biologics, medical devices and in-vitro diagnostics • Over 250 medical device 510(k) Class 1-3 submissions with 100% success. • Extensive Orphan, “First in Class,” and “First In” Indication success. • Reduced time to approval by over 600 days. • Over 100 NDA, ANDA and BLA submissions, with 96% success. • Greater than 60 EMA CHMP Marketing Authorizations. • SmartStudyTM design and feasibility assessments enhanced study efficiency and success and reduced protocol amendments by over 50%. CSSi LifeSciences™ Medical Device CRO has experience navigating regulations in over 100 countries. Often companies struggle with the pathways for a medical device from design to commercialization because of the ambiguity and complexity of the process. Regulations and requirements change frequently and vary by notifying bodies, country, level of risk (i.e., Class 1-3), specific product claims, and intended use. Our diverse team has many years of medical device commercialization experience, with knowledge that goes beyond published guidance, documents and initiatives. CSSi LifeSciences™ Medical Device CRO aims to impact the timeline of regulatory clearance and increase profitability.